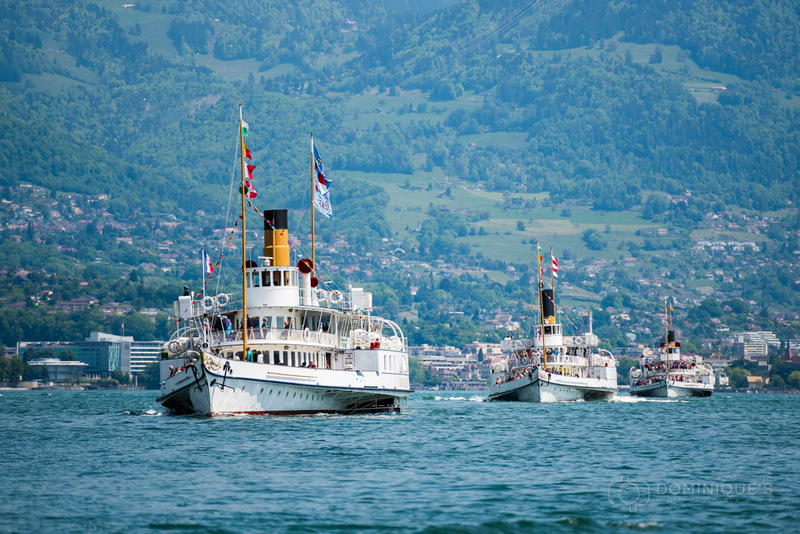 Lake Geneva hosts the world’s largest fleet of Belle Epoque side-wheel paddle ships. All boats were built by Sulzer Brothers between 1904 and 1927. 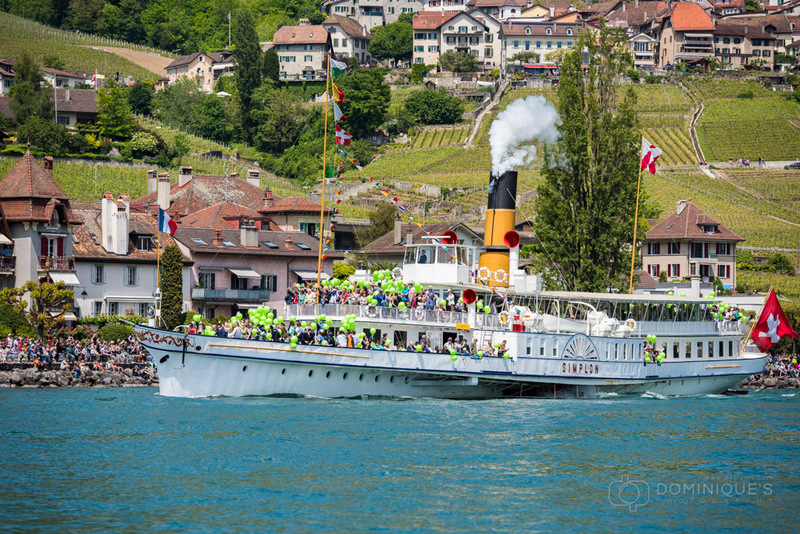 The fleet has been classified in 2011 as part of the Swiss Historical Heritage. In 2014, it received the Europa Nostra Prize for the efforts restoring and maintaining the fleet. The public gets a unique opportunity once a year to see the entire fleet together on an event called the “Parade Navale”. 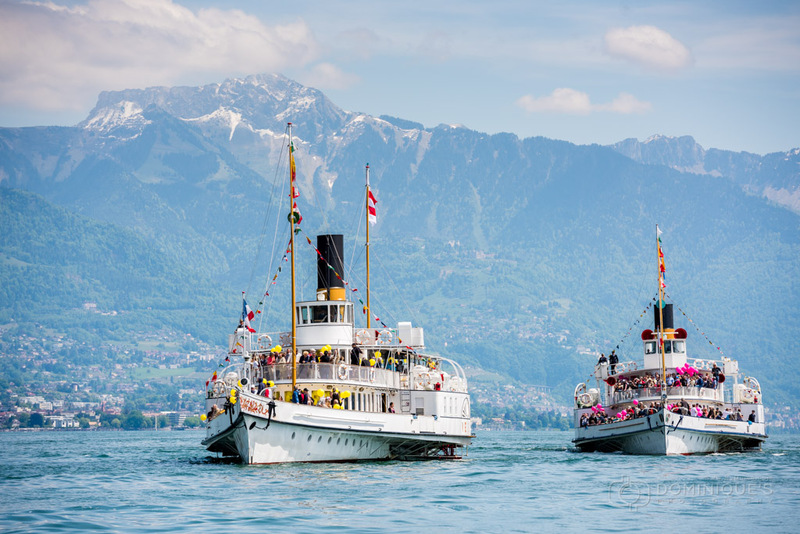 The event is organized by the company in charge of public transport on Lake Geneva, the Compagnie Générale de Navigation (CGN). The 2017 edition showed the efforts to restore and maintain the largest Belle Epoque fleet in the world. For the first time since April 1998, seven paddle steamboats came together. Only the “Helvetie” (1926) is still missing back on the water as it still awaits funding for a deep restoration. The spectators watched from either the shores, the vineyards or even right from the heart of the event on board the boats. At the end of the performance, the boats aligned facing the quays and blew their steam whistles all together for a long minute before releasing over 2’200 balloons; one color for each paddle steamer. The 2017 edition was again a huge success. The eight ships started to age at the end of the millennium. It was a great concern to all those who loved travel on these boats: nobody wanted to see them disappear. 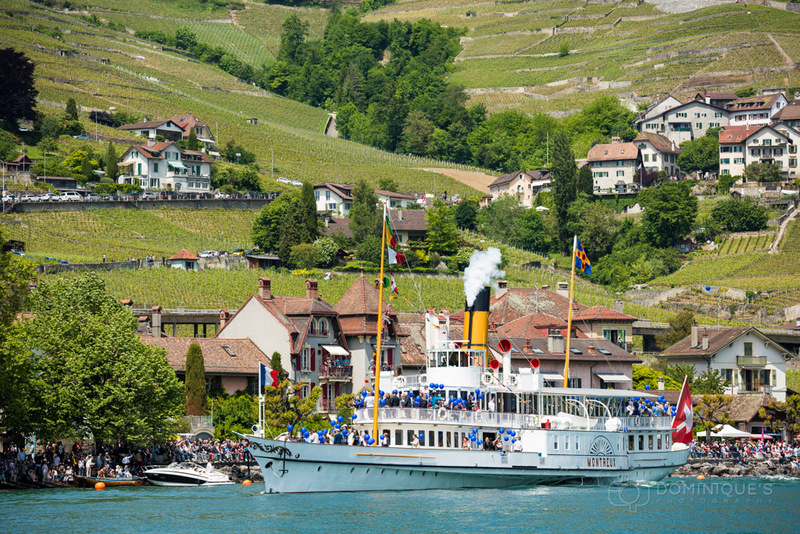 The fact that these remarkable boats – many of them equipped with their original steam engines – can still operate on scheduled service, is the result of a restoration program financially supported by the owners and by the effective contribution of the Association of Friends of Lake Geneva steamboats (the ABVL), formed in 2002. The fleet navigates between France and Switzerland and plunges the traveler into the serenity of the less frenetic time. In 2014, the fleet was rewarded by Europa Nostra, the European Federation for cultural heritage conservation. This prestigious award recognizes the commitment of all those who have helped to keep these boats, living museums.